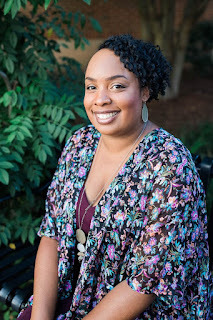 If you’ve read about my recap of Type-A Conference, you would’ve seen me mentioning about a meeting I had. Well everyone, I’m gladly to announce who I had the meeting with and it was WebSafety.com! WebSafety is an app that gives parents real-time alerts from kids and teen’s cell phones and tablets to help protect them from online dangers such as cyberbullies, sexting, and Internet predators. 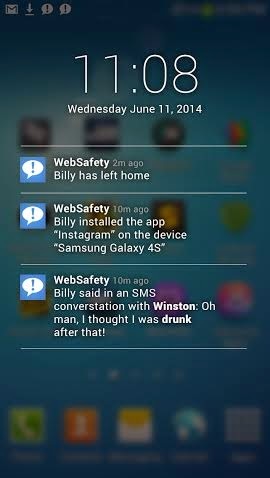 WebSafety is currently available on Android smartphones and tablets. An iOS version is in the works for launch in early 2015. Learning about this app really hit home with me and I wanted to share with you when I was about ages 15-17 years old. What I’m about to tell you is something not even my parents know about. Remember the days of AOL? How about AOL chat rooms? I was introduced to AOL when I had computer class back in high school. Since my teacher was always out due to illnesses, a friend and I would go into chat rooms and chat it up with complete strangers. Chat rooms started to become an addiction to me. I would chat with complete strangers in class and then run home and get on my home computer and chat some more all hours of the night. I started creating friendships with some of the people I was chatting with online and then started meeting them offline. There was even one person who had lied to me about how old they were and it turned out to be a man in his middle 30s- remember I’m still a teen and he could’ve gotten himself arrested. While meeting all these people offline my parents didn’t have the slightest idea this was happening. My parents were divorcing at the time and really weren’t paying attention what was going on with their children. I seriously needed help because their divorce was painful for me and I was trying to find an escape from it through complete strangers. I became very depressed and started lashing out at people in those chat rooms. Eventually I was reported and since my dad was the primary on the AOL account he received the report from AOL. The only actions he took were banning me from being online for a couple of weeks but once my punishment was up I was back in those chat rooms and meeting people offline again. But the good thing is I lived to tell this story because I could’ve been kidnapped, raped, or even worst, killed. Parents really need to pay attention to what their children is doing online; it’s a dangerous world we live in. Now since I have children of my own and they’re getting into electronics themselves, it worries me. Their school will soon do their entire curriculum on tablets and it’ll be hard for me to monitor what other things my daughters will be doing on their tablets. WebSafety sure has come at the right time! Now my mind can be at ease so I know what my daughters are doing while they’re online at school and at home. Plus, they’ll never know the app is downloaded on their tablets or cell phones (once they get a cell phone). Dashboard: A real-time dashboard displays daily activities. 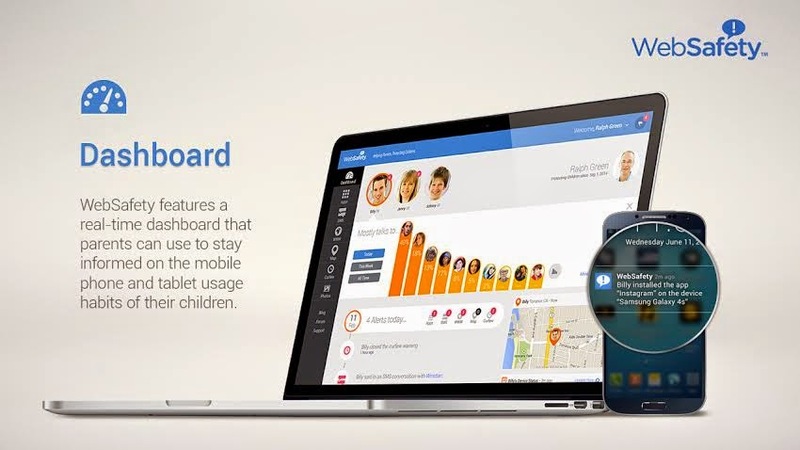 Monitors Apps: Detailed descriptions of apps that are downloaded by the child onto their phone or tablet are accompanied by WebSafety’s own notes and suggestions for parents. Monitors Text Messages: Options include the ability to view all text messages sent and received, or limited to alerting parents only of words of concern or specific people. Monitors Websites: URLs of inappropriate websites are flagged for parents’ notice. 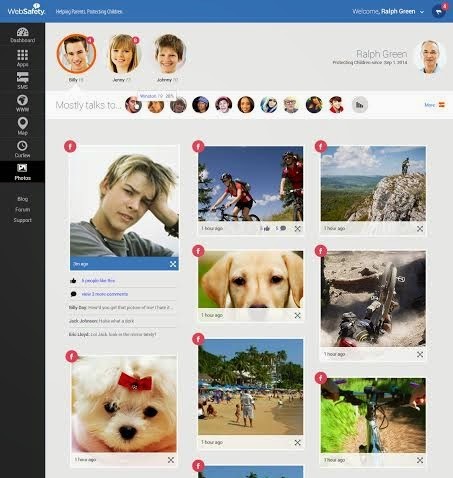 Monitors Social Networks: Parents can view all photos uploaded to Social Media accounts in one convenient location, and receive notifications about words of concern used on social media networks. Curfew: Parents can set time restrictions, with automatic notifications of out-of-hours use. 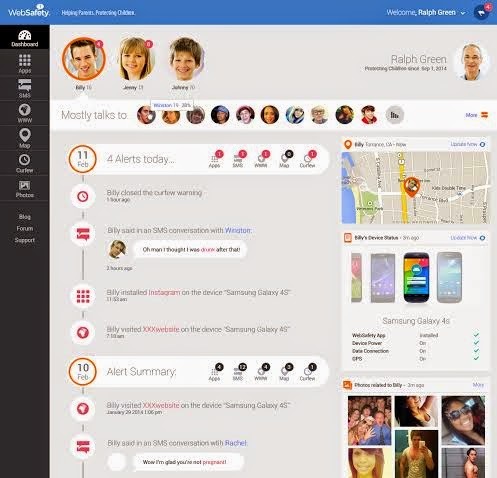 Notifications: Reports can be customized to provide parents with real-time hourly, daily or weekly activity summaries. 80% of teenagers regularly use a cell phone. 90% of teens that have seen social media bullying say they have ignored it and 43% of children said they have been bullied online. Almost one-fifth (18%) of parents believe their child has encountered online behavior they would consider aggressive or unpleasant between 1 and 5 times in the past year. 73% of teens have shared personal information or potentially inappropriate content. 71% of teens admit they hide their online activity from their parents. 43% of children said they had exchanged messages with strangers. 16% of teens have social media accounts set up to automatically include their location. Scary isn’t it? Isn’t it worth it to you to keep your children safe from harm? You seriously need to be downloading this app, ASAP! Your child will not know it is downloaded and it will not slow down their cell phone or tablet. WebSafety is free to use, no trial runs, completely free! I'm grateful that WebSafety took the time out to meet with me and share about their safety app! I know this app will be of use to all of you too! Do you monitor what your children does on the internet? VERY valuable information, Louida! You best believe that when S and K come of age to use computers/cellphones alone, Scott and I are going to be all up in their beeswax! Good Courtney, I'll be doing the same thing with my girls too. I plan to be all over S's devices when she gets older. Thank you for this information! I think this has tremendous potential in helping the safety of children everywhere. Thanks for being brave and sharing part of your story and adding a face to the struggles kids face online. Thank you Michelle. It was a hard story to share but I want people to realize that kids out there are doing the same thing I was doing when I was younger. Parents are not realizing the dangers their children are putting themselves in and we need to be aware of this and have a stop to it. What a great tool! Thanks for sharing! I have never heard of this but it is so important to have for the teens and tweens! I didn't hear about this app either until I met them at the conference, but I'm sure glad I know about them now! I absolutely loved this app and their presentation at Type A! If Pookah were older, I'd be on it in a heartbeat! They sure were great at Type-A! They were my highlight of the conference and made me feel better that I've went. This is an excellent app to have. One of my former classmates daughter was missing for a few days last week. Luckily she was found. I think an app like this could have been helpful with their search. OMG I would've had a panic attack! Good thing her daughter was found. This is a great tool, and I am sure that it can benefit many families. Hopefully, parents are becoming more aware of the potential dangers found online, and are communicating, and setting boundaries for their children. I really do hope so too Jeanae. Thanks for sharing this app and your story. As my girls grow up, we'll have to start investing in apps like this. You're welcome Xiomara. I know you'll find this app useful. Thanks for sharing your story Louida. As parents we really do need to pay more attention to our kids and I like that this app can help with that. I remember AOL and that time and you are very lucky you didn't meet the wrong person in person. Those chat rooms were extremely addictive. I remember them well. This app is definitely something we need b/c my daughter is 12 and into alot of stuff. Thanks for the review. Those AOL chat rooms were very addictive, I would be on there for hours. I'm happy nothing bad happen to me, God was definitely watching over me. You're welcome Amila! I hope you had a wonderful weekend! Yeah look into this app Victoria, you will find it useful when your boys get older.